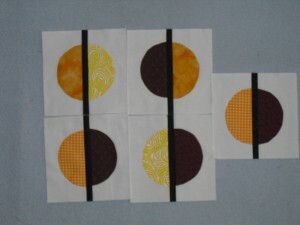 Here are my five blocks. I’m glad other people like this color combination, but it isn’t for me. So….. into the pot they go for the lucky winner(s).